This site honors Wichita State University football players, athletic staff and team boosters who lost their lives when their plane crashed in Colorado while en route to Utah for a game with Utah State University on October 2, 1970. The Wichita State University Memorial Observance Ceremony is held every year on October 2nd at the Memorial on the Wichita State University Campus. See Announcement/News for more information on what is planned for October 2nd events. The website has been created for those to share stories, re-connect and pay tribute to our fallen friends. It is our intent to keep this site active. If anyone has news to share and would like to email the members, please use the Contact Us button to send the information to an administrator of the site. We can send it out in a mass email to those for which we have email addresses. 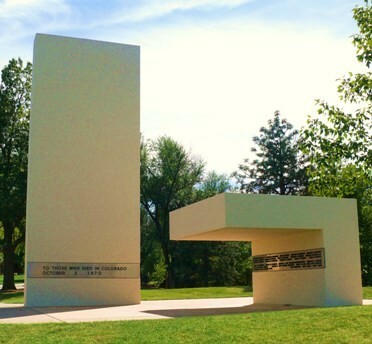 www.wichita.edu/memorial70 - This website is dedicated to Memorial '70. Pictures of the deceased follow the written copy on the history link. There are links to recently published stories from various media, both newspaper and television. http://specialcollections.wichita.edu/collections/ms/87-11/87-11-A.HTML This link will take you to the "Wichita State Universary Football Team Airplane Crash Collection" housed in Special Collections of Ablah Library. The collection is divided into several series and there are a number of boxes in each series.